Looking for the Best Clearance Services London?Look No Further! Welcome to the homepage of O'connor's Waste Removal, a professional rubbish removal services company London that have been specialists in every type of London waste removal service for many years, be it house clearance, commercial waste removal or any other clearance service. Our website not only offers an overview of the many clearance services our company offers customers. Our many years of experience have taught us that trusting and friendly relationships between us and our customers are an integral part of successful, stress-free clearance operations, so our site also presents you with an opportunity to get to know us and our company a little better. However, another great way of getting to know us is by giving us a call - simply dial 020 8746 4404 and outline your needs. We will provide you with a comprehensive quote totally free of charge! 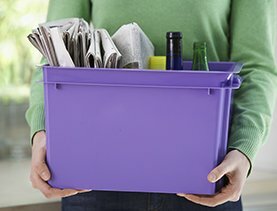 We offer a vast assortment of different clearance services and waste recycle services to suit every conceivable customer need/or budget, and a large variety of different vehicles, ranging from standard trucks you might associate with rubbish removal services London, all the way up to big rubbish trucks, meaning no job is too little or too large for us and our clearance staff! 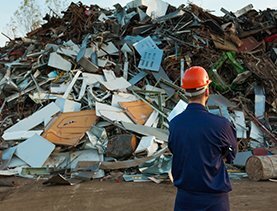 There are no limits to our range in London, either - if you live there, we will help you with your house clearance, and irrespective of whether your waste is just a single bag or a whole truck full of rubbish, we will help you dispose of it. Quite simply, we're a one-stop clearance company for people needing clearance services in London! 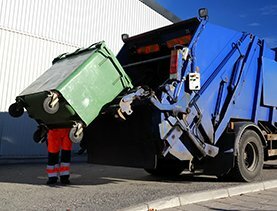 Our modern and meticulously maintained fleet of rubbish vehicles is the largest of any London clearance company, and our waste collectors are all professionally trained and certified, with many years of experience in efficient, hassle-free waste removals. Every vehicle in our clearance fleet is also equipped with GPS to bolster the extensive knowledge of London streets and UK roads shared by all of our driving team, to ensure that we are never late for the clearance appointment. We know how important it is for customers to shop around and compare prices before they choose someone to provide their London clearance services or London house clearance services, which is why we offer totally free of charge quotes for all of our waste disposal services, which come replete with a no obligation clause - you quite simply don't have to take us up on our offer if you don't want to. However, we're very confident that you will search high and low but will not find a London clearance company that boasts such extensive experience, such competitive prices and such friendly and helpful customer service! When you call us, you can give us a detailed plan of action, or merely the bare essentials such as type and amount of items you wish to get disposed of, and we in return will provide you with a comprehensive strategy for achieving all your goals. One of our greatest strengths, we feel, is our willingness to go the extra mile to give our customers a helping hand - and we're not just talking in terms of literal distance! We understand that clearance can be a very stressful prospect, and can be a highly strenuous and taxing process if you try to do it alone - or use an unprofessional, budget clearance service. 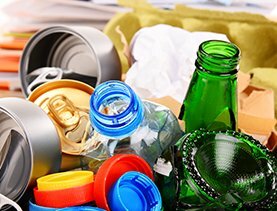 We aim to help people every step of the way, and to make clearance and recycling as painless a procedure as possible. We start by offering you expert advice on organising your loads straight off the bat - we can even give you advice during your initial call to us, free of charge! This helps to make the preliminary planning process a pushover, and allows you to focus on other concerns from the word go. 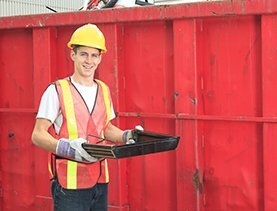 On top of our free and incisive clearance tips, we also help you compile and maintain clearance checklists, so you can constantly keep a clear conception of what needs to be thrown away and the things that need to be kept safe during the clearance. We pride ourselves on providing high quality clearance services in London at highly competitive prices. We believe we charge only a little more, if not as much, for a comprehensive clearance service as you might spend on truck rental and materials yourself if you were to attempt the clearance independently - and with our help, the gruelling toil and stressful exertion associated with handling, carrying and disposing of loads is totally removed. 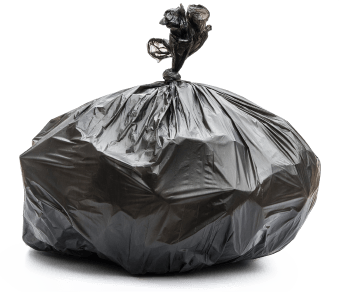 Furthermore, even if other smaller rubbish removal companies may, if pressed, be able to beat our prices, it is important to remember that low prices rarely equate to good value in the long-run. If you're looking for the most practical choice for any kind clearance/or if you value your time highly, it makes sense to put them in the care of a clearance company you can totally trust, who will go to great lengths to ensure that everything is done quickly and properly. We guarantee you will not enjoy the same level of care and attention if you employ a smaller scale London clearance company to handle your clearance or recycle requirements, and also guarantee you will not enjoy the same peace of mind either! 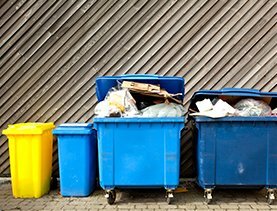 In brief, we are London's leading company for waste recycle services, rubbish disposal services, rubbish removals, junk removals, waste removals, junk clearance services and almost every type of clearance service London. We are committed to providing the best quality, and best value, clearance services we can, and constantly strive to improve our services - being friendly and approachable makes it all the easier for our customers to recommend improvements to our services. We believe that clearance should be an exciting and revitalising process, and do our best take every stress and hassle out of your house clearance. Why not call us today on 020 8746 4404, and see how we can help make your clearance experience a joy? your clearance experience a joy? Just had a junk removal done by the lovely team at Oconnors Waste Removal London and I am so pleased with the result. They made it so easy to book, and came to do the job within a couple of days of me calling. Perfect. Been trying to do a loft clearance for my mum for ages, and just never got enough time to do it properly, so called in London Waste Removal and within a day it was done! So fast, and the team were lovely. The rubbish removal job was carried out quickly and to a high standard. All in all, a great experience using Oconnors Waste Removal London. Thanks to Oconnors Waste Removal for providing a speedy flat clearance service. OconnorsWasteRemoval were a great, easy company to work with. 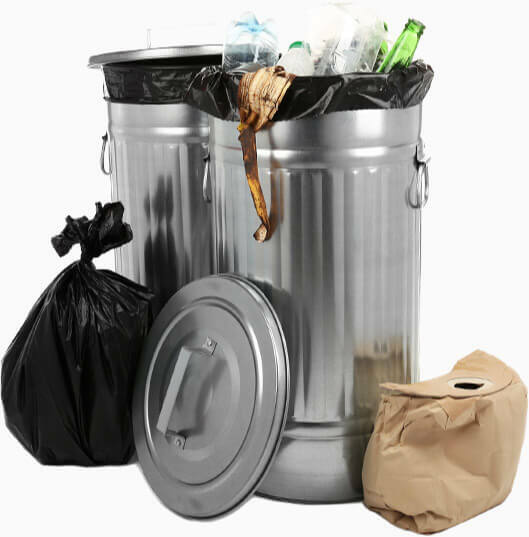 The rubbish removal service made the process of getting rid of waste really simple. 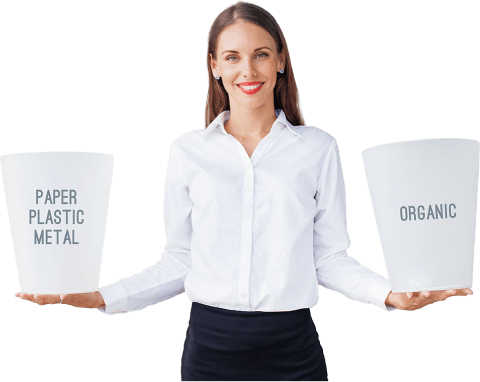 Description: If you decide to use our company in London you can avail of outstanding range of clearance and recycling services at budget-friendly price. Dial 020 8746 4404! Copyright © 2013 - 2017 O'connor's Waste Removal. All Rights Reserved.